Hey guys, love the advice column! Our dad is on his own now and has been off the road for a few years without a car. Lately, though, he’s expressed an interest in getting back behind the wheel. He’s not especially fussy – his short list comes from the three closest car dealerships to his house! He likes the size of the Volkswagen Polo, but my brother and I wonder if a compact SUV might not be a better choice? He’s tall, and his flexibility isn’t what it used to be. Budget isn’t an issue. Hey guys, glad you like the advice! Good to see your dad’s still keen on being mobile, and honestly this is a great time in the motoring industry for small yet well-formed, great value cars. The Polo (above) is a terrific choice, especially now that it’s grown in size a little bit. For around $22,000, the 85 TSI Comfortline with a seven-speed dual-clutch auto is a great option, and it offers loads of standard kit that make life a little easier. AEB, for example, is standard, as is a rear-view camera, hill-hold assist and a sizeable boot. It’s also easy on the juice with that three-cylinder 85kW engine, though your dad will need to remember to top it off with 95 RON fuel as a minimum. There are loads more options out there, of course, and one that’s a fraternal twin of the Polo. 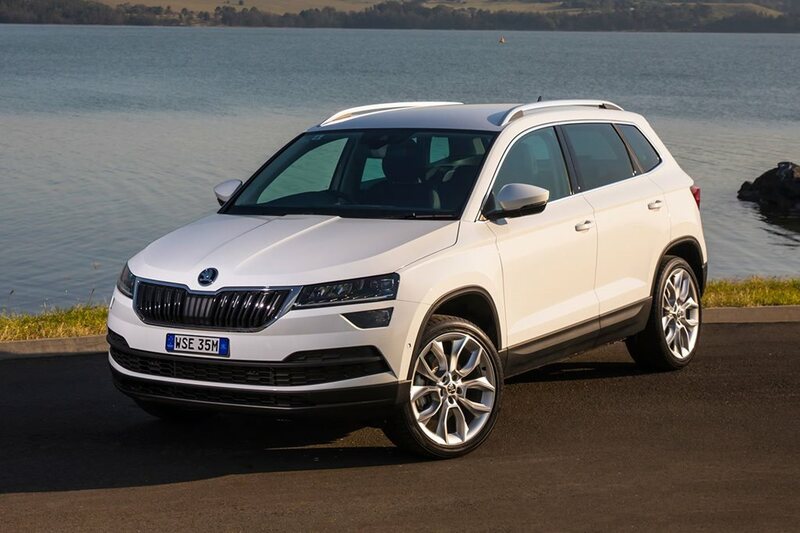 The Skoda Karoq (above) is based on the same platform – it replaced the Yeti a couple of years back – so the interior fit-out is similar in execution to the Polo. It rides about 10mm higher than the Polo, so it’ll be a little easier to slide into, and it’s almost 150mm taller, which gives it a lot more room in the cabin. For us, it’s also a simpler car with analogue dials and the like, so it might appeal more to someone not looking for bells and whistles. The 1.5-litre turbocharged four-cylinder engine is a good thing, too, and for about $42,000 all in, he’ll get lots of driver safety aids thrown in, too. If your dad wants to pop for a premium brand, then again he can stay within the Volkswagen family and have a look at the Audi Q2 (above). It’s also based on the same platform as the Polo, and it’s only 15mm taller than the Volkswagen. It is more compromised for rear space thanks to that sloping roofline, but it’s a big step up when it comes to standard equipment. If he opts for the $48,500 2.0-litre petrol-powered version, he’ll also get all-wheel-drive, driver safety aids like blind spot/approaching traffic warning and intersection assist. The Volkswagen Polo - which made the final cut at Wheel's Car of the Year in 2019 - really can’t be beaten on the value-for-money stakes, and it's really matured as a car, as well. If your dad is okay getting in and out, and if he’s only heading to the shops, then why spend more than twice as much on the (admittedly very nice) Audi?